We are designing step conveyors with five positions, six positions, seven positions according to customer's requirement. Head removal, dehiding, chest opening, offal removal, splitting and flushing cleaning processes are all done with its help. ZBHT Slaughtering Machinery Co.,Ltd. 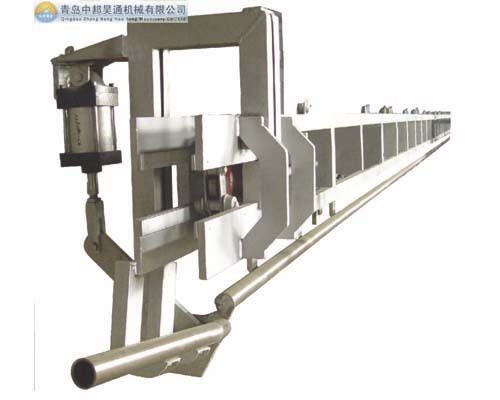 manufacturing high-quality Step conveyor for cattle carcass processing plant and supply OEM, ODM service according to your personal requirement. Our Step conveyor for cattle carcass processing plant and other Cattle Slaughtering Equipment is not only good in quality but also competitive in price, welcome to inquiry us about the details of Step conveyor for cattle carcass processing plant or other slaughtering machine products and accessory equipment.